London is a fantastic city to visit because of its Royal history, historic places, traditional pubs, shopping malls, attractive restaurants/galleries/museums and international businesses with great cultural diversity and atmosphere. All of these play a great role to make a huge array of attractions for millions of domestic and foreign tourists every year. It’s a central hub for Europe and trans-Atlantic travel so it’s easy to get flights to London. One of London’s most popular tourist attractions and still used as the official residence of the Queen. Bursting with history and former residence to many famous characters. Museums of Art and History. The V&A will suit all creative and design types. One of the world’s most important botanical gardens with around 50,000 plant species. There is also a great view of many historic buildings like the Palm House and Temperate House. A very busy and popular plaza in central London. It’s famous for it’s billboard advertisements and the great Eros statue. Commonly know as Big Ben but also “The Clock Tower of the Palace of Westminster”. Big Ben is iconic London. It’s also the largest clock in the world. Trafalgar Square is the largest area and heart of London and The National Gallery shows greatest collections of European painting in the world. Greenwich is famous for the attractive history of the Royal Family. It is best known for its Maritime Museum, the Greenwich Meridian, the historic Queen’s House, and the Royal Observatory Greenwich. A huge bridge across the river Thames. The pedestrian bridge connects the St. Paul’s Cathedral with the Tate Modern Gallery on London’s South Bank. This is a must if you are visiting London. Get one of these and visitors get free entry to over 55 top London attractions. 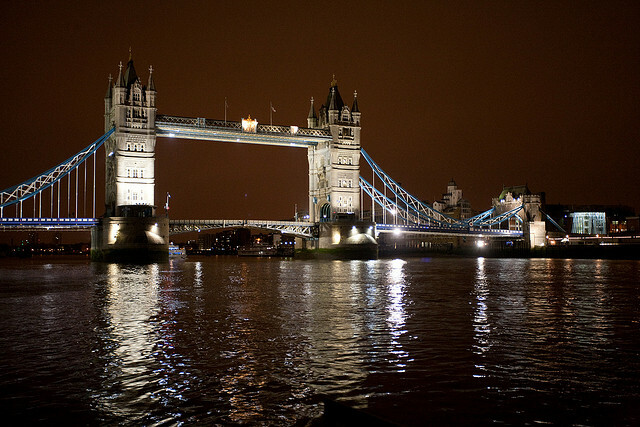 London has an extremely diverse entertainment and night scene. Streets are crowded with numerous restaurants/hotels, clubs, cinemas and shopping malls that are opened for 24 hours. The Leicester Square area is famous for it’s cinemas and move premiers. Major cinemas are Odeon Leicester Square, Empire and Odeon West End. Keep your eyes peeled for the red carpet and stars. Ministry of Sound is popular for its house music sessions on Friday-Saturday nights. It is expensive but an unforgettable place for a tourist. Paramount Restaurant is famous for the British food. Fire and Stone Covent Garden is best in Pizza servings. Tom’s Kitchen Somerset House is British food restaurant. Mezzanine Restaurant offers Modern European cuisine. There is no great time to visit in London. Great Britain doesn’t have the best weather but it’s still bearable all year round. In the summer you can chill in one of the great parks such as Hyde Park for example. Winter is fantastic too, especially if it snows. Make sure you get yourself to an outdoor ski rink! London should be on any travel bucket list and with the availability of cheap international flights here, you really have no excuse.